Acting has always been something that the Houison Craufurd family have enjoyed. 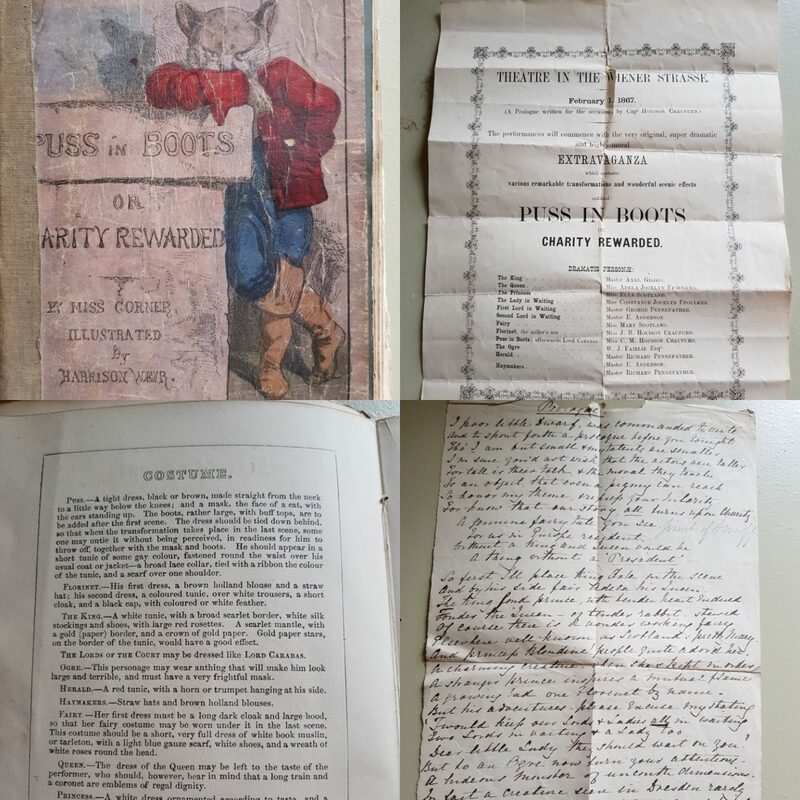 Here are images of the programme, prologue written by Capt Houison Craufurd and cast list of a performance of Puss in Boots that was performed on February 1st 1867 in Wiener Strasse. 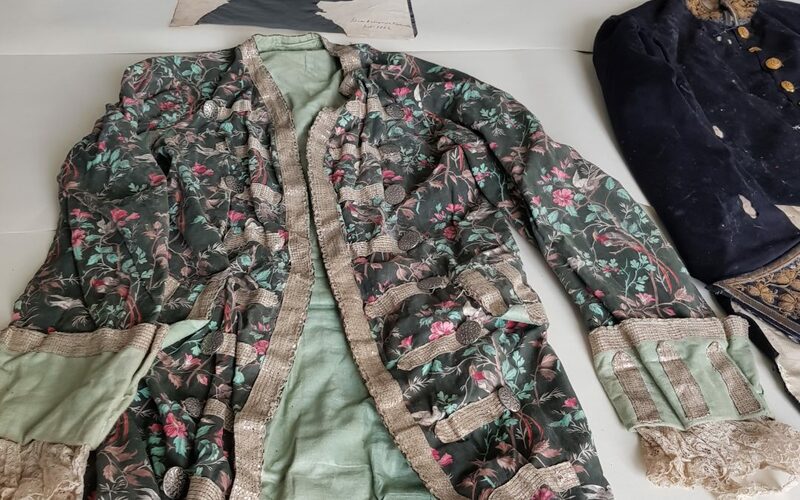 Capt Houison Craufurd was stationed in Dusseldorf during this time, his children took part in the performance and this coloured tunic was one of the costumes worn by the character Florinet, played by Miss J.B. Houison Craufurd. This costume will be on display at Craufurdland Estate in the new café restaurant that will be opening at the end of April 2018.